I received my call up papers for military service when I was 16, in 1978. 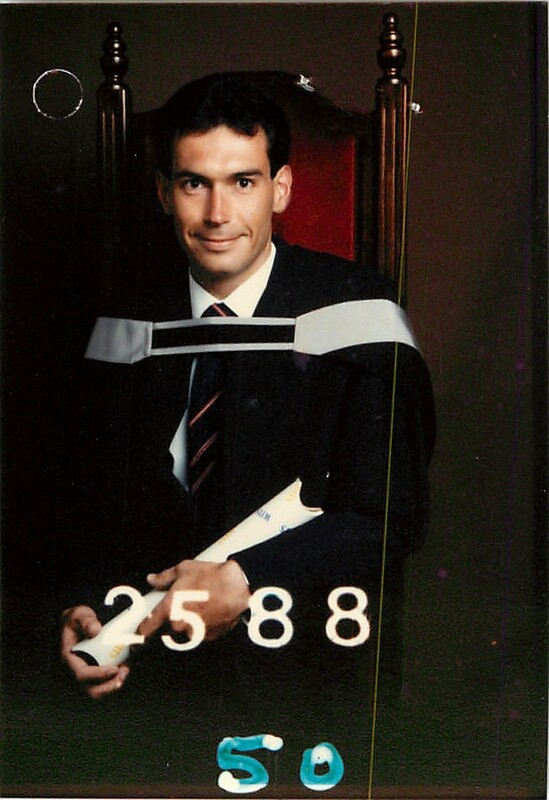 After conversations with the minister of defence, I completed 2 and a half degrees by 1996 and conscription had been abolished. I never went through life as a boy or young man not wanting to do military service. I don’t think it would have been good for me. I might have had to emigrate, which might not have been good for me either. My father used his network. He knew someone who knew someone who knew the then General of Defence. A man hated by the democracy of South Africa. But between personal and family security, financial and land tenure security and a son who was taking forever to complete his studies, my father had a few conversations with the minister of defence. He even cooked a few sheep on the spit for a big do for the minister of defence and his entourage. Today he would have to kill a few cows on the property and have an equally big party. The minster arrived in civilian clothes, with his wife. They were surrounded by killers posing as bodyguards. There was an air of despisement, sardonic smiles on their faces, and any person who was not white and could not speak Afrikaans. My father always confused them, as he spoke Afrikaans fluently. He had immaculate English, and being conceived in Greece had a genetic predisposition to speaking Greek. He would have been a superlative Zulu speaker. He had the moves; I remember at one of my birthdays when I had a drumming session and he took some walking sticks and did the Mhlungu Zulu thing. So if I had a drumming session for a birthday you can see why I would not have fitted in the military. At the time of the big marquee sheep braai for the minister of defence I was a rebel student at WITS. Although not a liberal by WITS standards, by my home town standards I was radical. I went to university and my first year class in medicine had the biggest non-white percentage of students in any medical class in the country to date. Excluding my later Alma Mater in KwaZulu Natal which was reserved by the good government of the time for non-white undergraduates. The year the good minister came to our house was the year of our Lord 1987. Conversations had started with him in 1982 when I changed from engineering to medicine at Wits. That year Neil Aggett, a doctor, died in police detention. Although he was an Ikey there was an irreverent conspiracy against the national government by our two universities. In 1987 I was completing my undergraduate degree and my father knew I would die in the army, and needed to keep me out. That year we were entitled to sing “Asimbonanga”, we have not seen him. My father’s best friend could not sing that. He had just seen him. He was Nelson Mandela’s attorney.